Dr. Carolyn Eddleston MBBS. Dip.Ac. MBAc.C. 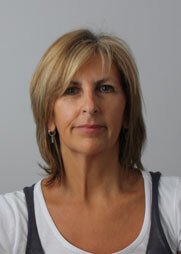 Dr Carolyn Eddleston- Registered Doctor, Traditional Acupuncturist and British Acupuncture council member. 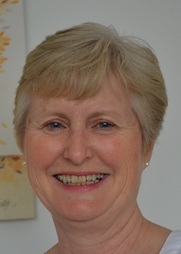 Carolyn has worked within the NHS as a GP since 1995. She observed that Western medicine excelled in life or death situations. Individuals with more chronic disorders or who failed to fit into a diagnostic box were left dissatisfied and with few treatment options. Traditional Chinese Medicine makes connections between various organ systems within the body in a way which Carolyn observed as a doctor but had no explanation for. Whilst living in New Zealand for 6 years she completed a 3 year, full-time Diploma in Acupuncture. The training transformed not only her own life but the way she understood health and illness. Her treatment style now focuses on supporting health rather than being centred solely on illness. Carolyn retains a balance between Eastern and Western techniques. 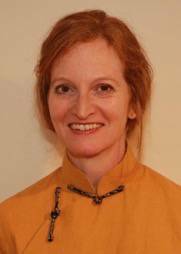 Kerry is a qualified Shiatsu practitioner from the British School of Shiatsu, London; and is a registered member of the Shiatsu Society UK. Kerry’s love of this practice lies in the healing potential Shiatsu has for her clients; as energetic balance is restored to create a sense of flow and ease in the body. Kerry’s work is often centred around the spine, nervous system and the meridian network, which together have a powerful affect on the body by reestablishing this energetic flow and creating a sense of deep relaxation. Kerry has a love of learning and is excited to soon embark on advanced Shiatsu courses for Pregnancy, Birth and Post Natal women. Once completed, she will be a qualified ‘Well Mother’ practitioner, able to offer bespoke classes and treatments to mothers, partners and their babies. Kerry is a caring, gentle and intuitive practitioner with a firm interest in holistic health and wellbeing. She enjoys mind-body practices such as clean eating, yoga, meditation and energy alignment work. Kerry looks forward to welcoming you to Cycles of Change. Over 25 years ago I turned to acupuncture to help with a long-standing back problem that had failed to respond to other treatments. It worked and my fascination with Traditional Chinese Medicine began. In 1996 I graduated from the Northern College of Acupuncture in York, having studied both traditional acupuncture and western biomedical sciences. I became a member of the British Acupuncture Council and over the past 20 years have established busy private practices in Leicestershire, working alongside GP’s and other healthcare professionals. The benefits of acupuncture and its use for pain relief are well documented but there has also been a huge rise in demand for the use of acupuncture in other areas. My main specialist training has been in its use for fertility and reproductive health and I am registered as a Zita West Affiliated practitioner. One of the strengths of traditional acupuncture is the way it treats the person, not just the problem. My skill lies in being able to see beyond the physical and emotional symptoms and devise an effective treatment plan that is unique to you. Ellie Roberts PgDip. Tui NaDip. 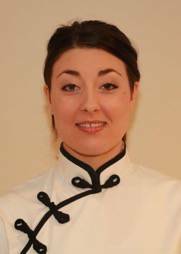 Ellie has been with the team now for two years practicing Tui Na massages and more recently cosmetic or facial enhancement acupuncture. She specialises in back pain, sciatic, shoulder, arm and neck pain and has had several successes with clients reporting pain relief and improved mobility for these conditions. She also offers full body, head and feet massages which relieve stress and improve energy levels. Tui Na can also be used for various other health conditions. Ellie is also now offering cosmetic or facial enhancement acupuncture and assists Carolyn with seasonal treatments. After a long term interest in Traditional Chinese Medicine and personal experience of treatments, Ellie is still fairly new to this field of work. She previously worked in senior management, did (and still does) offer personal development coaching and has 4 children who are now making their own way. She decided to change from the corporate life, leave the 100’s of emails and non-stop demands, to become hands on in working to help others improve their health. She has no regrets about leaving her previous career and loves seeing how her clients respond and improve with her treatments. Ellie trained at the Body Harmonics School in Cheltenham, with Maria and Graham Mercati who have both been taught in China and have been practicing and teaching Tui Na, Thai massage and Acupuncture for more than 20 years. She qualified as a Masters Practitioner in Tui Na, and has a diploma in Acupuncture. She also spent 60 hours of clinical internship at the Zhejiang Provincial Hospital of Traditional Chinese Medicine in Hangzhou, studying Tui Na and Acupuncture. She recently completed advanced cosmetic acupuncture training with Paul Adkins of Facial Enhancement. Ellie loves being outdoors and being active and has been on some great adventures including walking and cycling in the UK, Europe, Asia and climbed Kilimanjaro and Toubkal, Morocco. She is also busy with her extended family and loves being a grandparent.